be sold for $5 each and will include two pancakes, sausage, and beverage choices including coffee, milk or juice. Bring your appetite, folks! 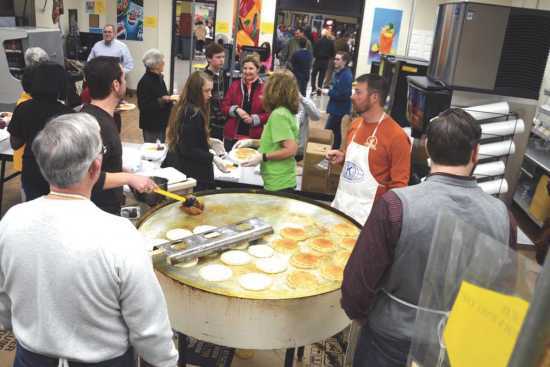 The Kiwanis Club of Dyersburg will hold its annual pancake breakfast on Saturday, Feb. 23 at the Dyersburg High School, inside of the commons area. The feeding frenzy is expected to begin at 6:30 a.m. and will continue on until 11:30 a.m.
Tickets for this fundraising event can be purchased for $5, and are available from any Kiwanian or DHS Key Club member or by simply purchasing one at the door when you arrive. Sponsored by Kiwanis, the Dyersburg High School Key Club is the oldest service program for high school students. The meal will consist of sausage, juice, coffee, and (of course) pancakes. Kiwanis Club members have been using this massive pancake cooker for the annual Pancake Breakfast event since the late 1960s. Originally purchased for $1200, the cooker is capable of producing 900 pancakes an hour. 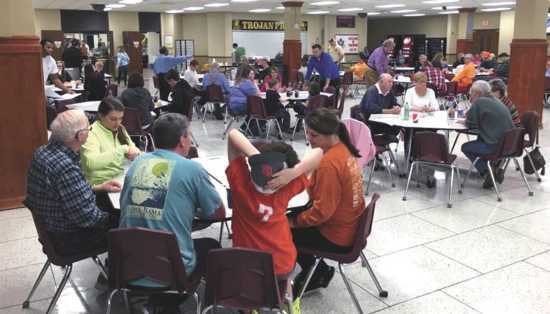 The pancake breakfast is currently the only fundraiser held by the Kiwanis Club, and proceeds from the event go toward the benefit of projects and activities throughout the community such as: Terrific Kids, the Dyer County Spelling Bee, Boy Scouts of America, Girl Scouts of America, Key Club, American Cancer Society Relay for Life, the Kate Hurt Scholarship, Dyersburg-Dyer County Union Mission Explorers, Dr. William F. Pierce Jr. 'Goodfellows' food box distribution program, Boy and Girls State, Even Start, Dixie Youth baseball, and many others.